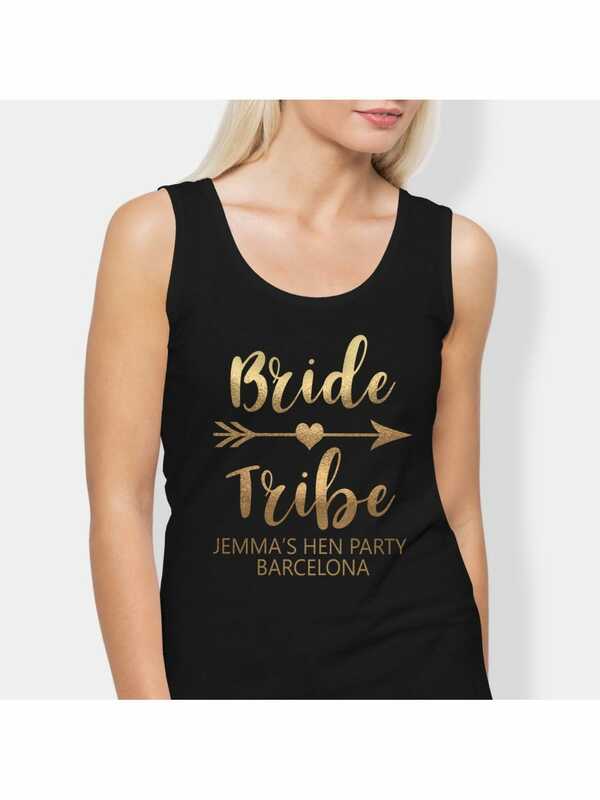 Order these hen party vest tops in black or white, or mix and match with both designs. Available in a range of sizes, these versatile tops are suitable for all hen activities, whether you team them with leggings and flats for a beach day, or slinky skirts for a night out. Luminous gold text will make the girls dazzle, both day and night. The 'Bride Tribe' motto is a stand-out winner for hen parties, promising to attract attention left, right and centre. Don't forget to take gorgeous photos. Matching 'Bride to Be' vest top available.